These informations are available when making an Aliexpress account. Image import type – this option allows you to download product images in 2 ways: at import – images will be downloaded each time a product is imported; asynchronously – images will be dowloaded using Assets Download module after all products are imported. The Assets Download module can be found in Plugin Status -> Assets Download. 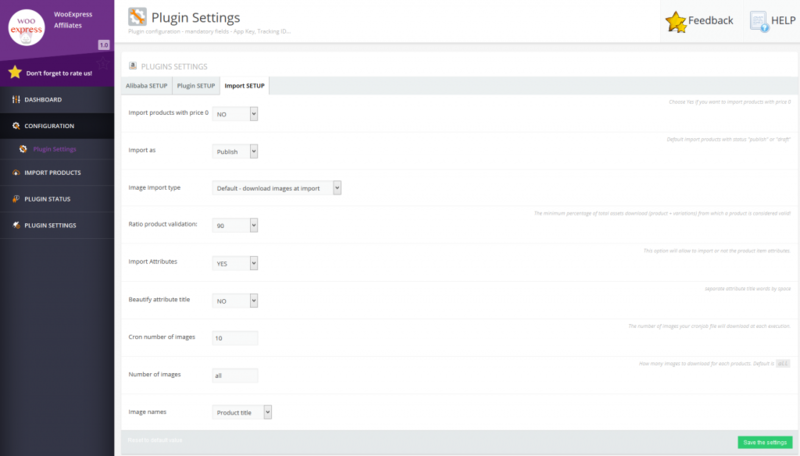 Ratio product validation – this option is used combined with the Async Download method – The ratio represents the percentage of images that will be downloaded for a product to become valid. Ex: If you download a product that has 10 images and the ratio option is set to 90, the actual number of downloaded images for that product is 9.